I have always been a cheater…a cheater that is when it comes from taking help from the grocery store. I am a cool whip buyer *hides face in hands* I am one of those persons that will spend the extra money for the already made stuff. Isn’t that horrible? Last week at the grocery store, they were having a great sale on berries. Everything was like 2 for $4.00. I had warned Josh in advance that when all the berries go on sale like that, I will be buying them. So I did…and to my luck…the Organic Strawberries were on sale as well! Now I am on the fence about organic stuff. I have done a bit of research that seems to contradict what others say…but that’s another post for another time. I will say this for the Organic Strawberries, they taste sweeter than the other kinds. But what is the perfect easy delicious treat that goes perfectly with Strawberries? Why Shortcake and whipped cream of course. And that was it. Everything other site I looked at pretty much said the same thing. It was kinda nice to know that this process seemed to be pretty simple. Last night we had Josh’s brother and sister down for dinner and to watch the first Lord of the Rings. Jewelissa had never seen it. For dinner they wanted Spaghetti…simple enough. But when you sit down for a long movie like LOTR, your going to want a tasty treat half way through it which is why Strawberry Shortcake is perfect. Combine all ingredients into a metal mixing bowl. Beat on high for 3-5 minutes until stiff peaks have formed. This looks so good! I will have to try it. Do you know how butter and buttermilk is made? By churning cream. That's what happens if you "overmix" your cream. Not exactly the worst thing in the world (home-churned butter and buttermilk is superb), but it's not exactly what you're going for. Take it from me - it takes a lot more to overmix than one would think. As long as you're paying attention, the peaks can get pretty darn stiff before it becomes a problem. I think it takes about 7-10 minutes of whipping in a kitchen aid before it starts to go, so you're generally pretty safe. 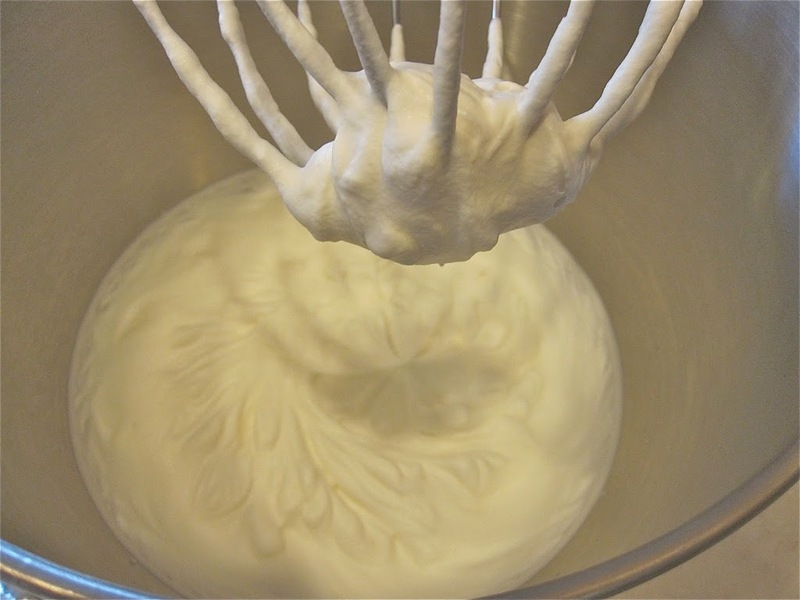 For craft clubs, we'll pour whipping cream (or heavy whipping cream - either works) into a bowl with a whisk and pass it around until it's finally done. It's the hard way, but it's also kinda rewarding. I have never used powdered sugar-only regular sugar and it works for me! I CAN'T BEIEVE YOU NEEDED A RECIPE TO MAKE WHIPPED CREAM.....ALL YOU DO IS POUR SOME WHIPPING (HEAVY) CREAM INTO A BOWL, ADD ACOUPLE SPOONS OF ICING SUGAR AND A TSP, OF VANILLA AND WHIP WITH ELECTRIC MIXER....TAKES ABOUT 2-3 MINUTES. I HAVE BEEN DOING THIS SINCE I WAS A LITTLE KID. I see that there was a comment about using regular sugar or powdered sugar. Powdered sugar has CORN STARCH in it which is a stabilizer and helps maintain whipped cream from creating a puddle of liquid in the bottom of your bowl (if storing it) and also gives a stiffer whipped cream. This was recommended to me by a test kitchen. Really!!!!!! This is the way to make whipped cream anyway!!! This isn't "home made". Not to be sarcastic but you sound like you just invented the wheel. 2. This is homemade whipped cream. Not sure what you have in mind, but unless you only consider it homemade if you're personally milking the cow, this is homemade. Please bear in mind that many, many families use Cool Whip and Redi Whip (including ours when we're busy!) - this is a big step up from that. 3. Somehow you're confusing excitement with pride. Almost five years ago, when Chels wrote this post, we were just beginning to explore cooking better food at home, and discovering how easy it was to "whip" this up was very exciting! You tell her!!! That woman had such an attitude! If she didn't want to read it, she shouldn't have. Sometimes it's best to keep y our comments to yourself (especially if they are negative)! Ha, thanks, Tami! Lynne commented again below in a much nicer tone, though I still take issue with not getting excited about homemade whipped cream! I get excited everytime she makes it this way (actually, I've even done it myself now!). I just say she's lucky to have been eating it this way for 50+ years - kudos to her mom! Thanks again for commenting - appreciate your readership! My exclamation key is definitely not stuck, but thank you for your concern. The only thing I said was this is not a new recipe and it's nothing to get excited about. My mom did exactly this back in the 50's. It's not new at all. But I do give you kudos for coming to the defense of your blog. Very honorable. 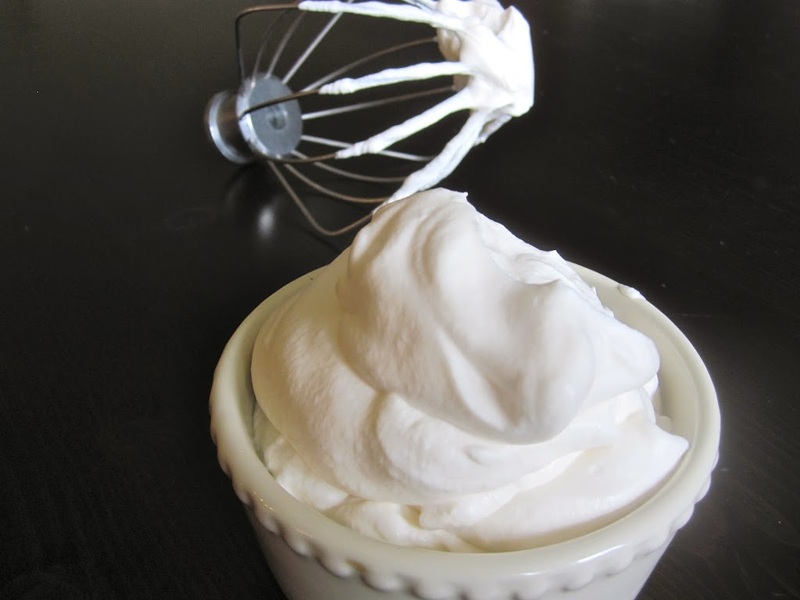 I've made whipped cream like this and it's heaven compared to Cool Whip. All those mean-spirited people should watch their mouths. If they've done it this way before - good for them. If not, they learned something new. Why be mean about it all? Geesh. I have a question for you: Any ideas on how to make yummy whipped cream non-dairy style? I've had to give up dairy and I've been craving good whipped cream but the coconut cream kind just isn't it. I do like coconut, but not on things I want whipped cream on. Is their any substitute for the cream that isn't dairy? Or am I just dreaming?